Yuvraj Singh, who has been a warrior on the cricket field as well as life, turned 37 on Wednesday. Yuvi, as he is fondly known, holds the record of fastest T20 50 that he scored in just 12 balls against England during the 2007 ICC World T20 championship. He started his career with the Punjab Under-16 team at the age of 13. 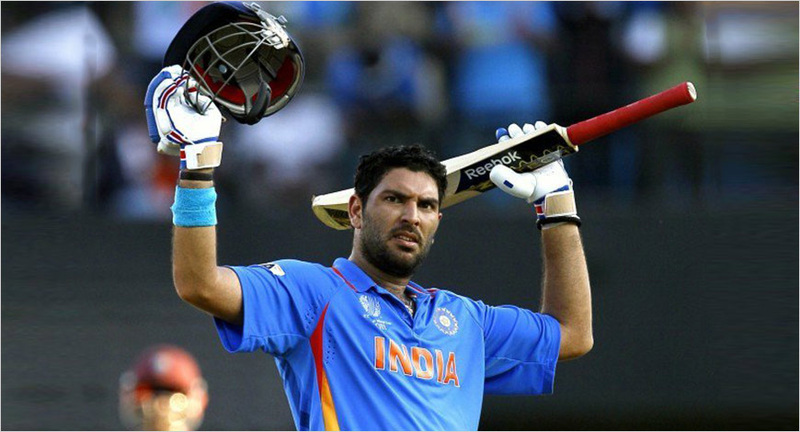 Yuvi was diagnosed with cancer in 2012, after which he was away from the cricket field for some time. But he made a successful comeback in 2013. As the cricketer turned 37, wishes poured in for him from fans and celebrities, including Sachin Tendulkar, Virendra Sehwag, Cheteshwar Pujara, Siddharth Kaul and Vinod Kambli. Yuvraj featured in the ad along with actor Akshay Kumar. In the Birla Sun Life Insurance ad of 2012, Yuvi narrated his fight with cancer. He was seen saying that when his health became an issue, he never asked himself “Why me?”, just as he did not when he was adjudged the Man of the Tournament for ICC World Cup. The thought that he left behind was that you can’t predict the future. But you can at least plan for it. Yuvraj Singh has also been brand ambassador for LG Electronics India Pvt. Ltd, Donear Suitings & Shirtings, Sporty Solutionz, TI Cycles and Puma.